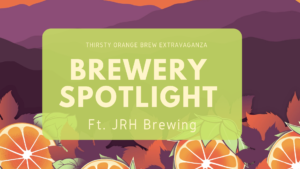 This weeks brewery spotlight features JRH Brewing! 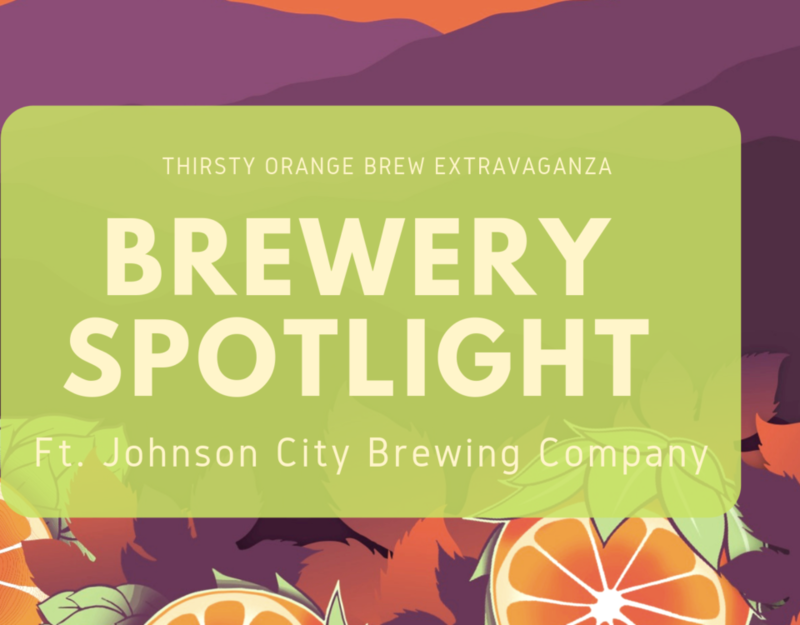 Thirsty Orange got to have a fun conversation with Jill, one of the owners & founders of JRH Brewing! ::Thirsty Orange:: What is your official title at the brewery? ::Jill:: I’m a “Jill-of-all-trades”! I do bookkeeping, sales, help make beer, but mostly manage the taproom side of things, all of this in addition to working my full time job as a physicians assistant. John, my husband, has been doing the brewing full time since 2015. How did JRH come into existence? JRH started as an idea… John wanted to get back into homebrewing. He started homebrewing in college, quiet, but started again after we got married. There were some major life changing things that happened and we had the realization that if this was something we want to do, we’ve got to do it. Life is short. John said “I want to brew beer & I want to open a brewery!” We have always been fans of craft brewing & homebrewing. John went to the American Brewers Guild and graduated from there in 2013. We started looking at where we wanted to be in the Tri Cities and settled in Johnson City. JRH are Johns initials and he used “JRH Brewing” in the homebrew competitions. People started recognizing our name at the homebrew competitions, like at Thirsty Orange as homebrewers! JRH might stand for Johns initials, it also stands for what you want to do in life and a reminder to follow your dreams. Our tagline is Dedication. Determination. Delicious Beer. How many years have you been going to Thirsty Orange? We’ve been to every single Thirsty Orange! We went to the festival the very first years as fans. We attended the following 3 years as homebrewers, and this upcoming festival will be our 4th year a pro brewer! I love the time of year that the Thirsty Orange takes place! It’s the first festival of the spring & it’s a kick off to the festival season. There’s a huge number of breweries that come to Thirsty Orange and the number of beers you get to taste is pretty phenomenal. I’m a beer drinker by the season. So right now, I’m into the porters and darker beers. What do you have in your tanks right now? Specifically for Thirsty Orange, we teamed up with the person who won the homebrew competition last year at Thirsty Orange. He did a hazy new England IPA called Cosmic Charlie. So he’s brewing his beer with John on our big system and we will release it in time for Thirsty Orange! Beer goes best with… FRIENDS! The best day to drink beer is… ANYDAY! The best part of drinking beer is… the experience! From the aroma, to the flavor, to the aftermath. Anything you want our readers to know about things coming up for JRH?! JRH is having their 3 year anniversary celebration the week of march 12. We’ve got special activities happening all week ending with St. Patrick’s Day celebration!